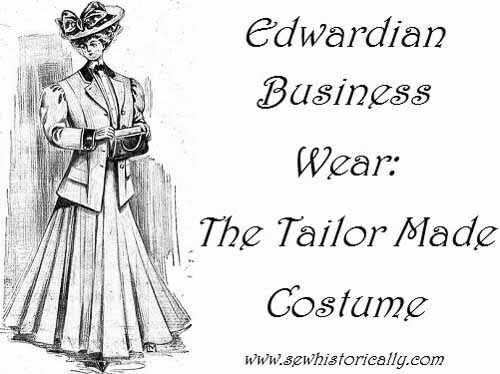 An Edwardian business woman was advised to dress simple, practical, feminine and economical. 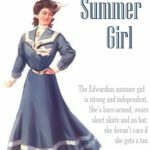 Her usual dress was either a tailor made wool suit or a shirtwaist costume, which consisted of a dark wool skirt and a white or colored shirtwaist (blouse). 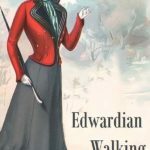 The most important accessory of an Edwardian business woman is the handbag: ‘It will pay her to get the best leather on account of the wear she gives it and if it is of the newest shape it will add distinction to her appearance as it is the one accessory that she always has with her. 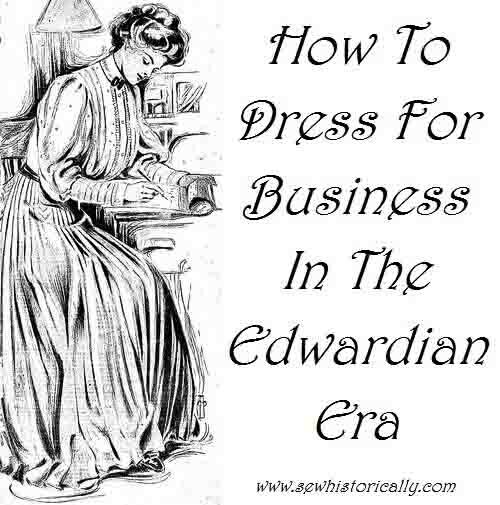 Here you’ll find more information about how an Edwardian woman should dress. I had the more or less same reaction–so much time to get ready, so much money for materials (often from people who had very little), and so restrictive. 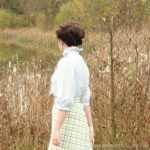 It doesn’t take much time to put on Edwardian clothes – I tried it! 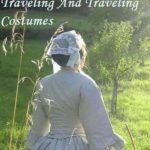 😉 And it was a rather cheap outfit – even if the wool was expensive – the wool skirt was worn for maybe ten years or so and later it could be refashioned into another piece of clothing. 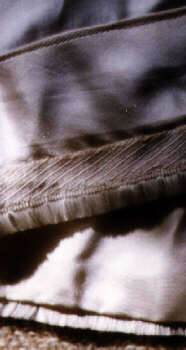 And cotton fabric for the shirtwaists was cheap. This post was so interesting! My favorite part was the accessories…”Her hat ‘should hamonize with her suit and it should not be of a brilliant color. 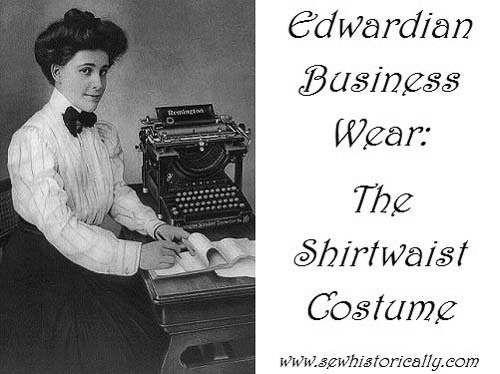 A brilliant red or blue hat is out of place for office wear.” I wish we still had hats. They are so classy. Great post! Very very nice. 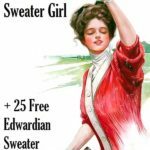 I enjoyed reading up on how a woman should dress for the office. In a sense its not changed except women should wear power suits…….LOL. White and black…always a great combination and always in fashion!